You know how last week I said that book posts were impossible to write? This one isn't horrible. It's me just telling you what I've been reading. I've been on a reading tear, mostly because my emotions are shot to hell and because I'm looking to escape. There. I said it. I'm being 100% honest with you. And so. Happy Friday to y'all. Let's talk books for a minute or two. Disclaimer: Please note, as always, any links to Amazon copies of these books are affiliate links. If you use them to purchase these (or any other) books I'll earn a few pennies towards my next reads. So thanks for supporting my addiction! I'm going to work somewhat backwards. Because this morning I started reading another book, so I'll begin there. 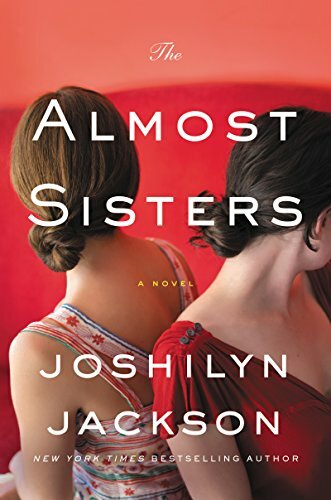 I'm currently reading The Almost Sisters, by Joshilyn Jackson. I'm exactly 45 pages in and I already really like Leia. She's our primary character. At least she is this far in. Which isn't much, I know. But I like her, and I like the way Jackson writes, and so, I have little doubt that I'm going to enjoy this book. Feel like a summer read that won't stress you out? Pick it up and read along with me. 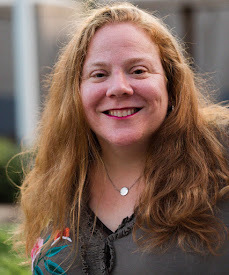 Want to meet Joshilyn, herself? Head over to my review of The Opposite of Everyone and scroll down a bit. I had so much fun participating in a virtual hangout with her! So, yesterday morning I finished reading a book and started another one. And then yesterday evening? I finished that book. Which, obviously, is how I started The Almost Sisters today. I read The Breakdown by B.A. Paris in one day. In my I Like Big Books group on Facebook a friend told me that a mutual friend of ours described it as "unputdownable". And it was. It really really was. 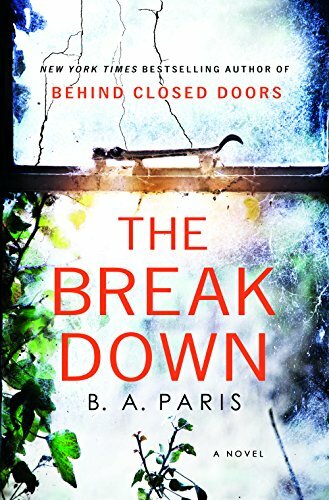 I loved Behind Closed Doors, which was the debut novel for Paris, so I wasn't surprised at how much I couldn't stop reading The Breakdown. Some of it I did figure out, but it was not predictable in the least. It was the kind of story that you turned page after page - or swiped through if you read the ebook - and couldn't stop reading. I literally read a huge chunk of it on my phone while my daughter was at karate. THAT's how badly I wanted to find out how it ended. 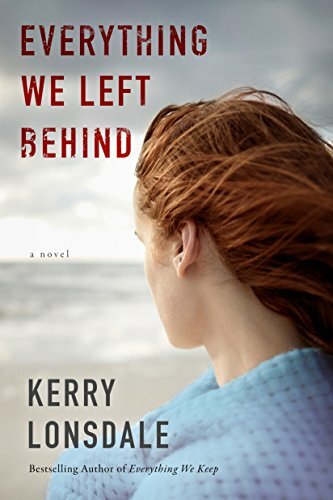 And before I picked up The Breakdown I read Everything We Left Behind, by Kerry Lonsdale. Everything We Left Behind is book two - and if you know me you know I don't read very many book series - serieses? *wink - spelling horror right there* But Lonsdale had me hooked at the end of Everything We Keep, and I had to know what happened. But wait - there's more. She's got book three coming out - I just need to find out when. The story is from the perspective of James. Or Carlos. And if you have not read book #1 you won't know who I am talking about. So go grab them both. 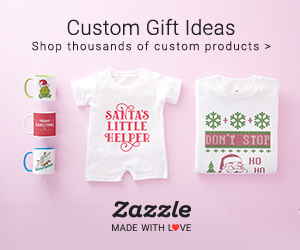 They're really affordable for Kindle and they're also available through Kindle Unlimited. In the midst of these great titles, Lonsdale has also published All The Breaking Waves, which I loved, as well. I can't go wrong with her writing - and believe you'll agree. 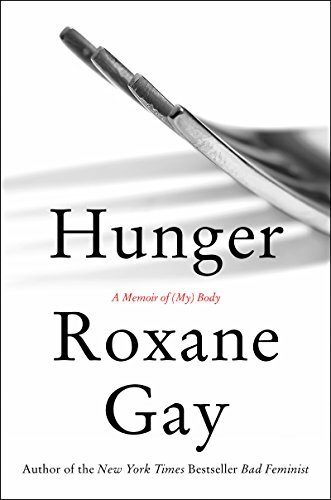 Prior to reading Everything We Left Behind, I devoured Hunger, by Roxane Gay. Pun possibly intended. I don't know. It was just that kind of read. Hunger was so powerful. So moving. So intense. There were parts of it I could relate to. Parts of it that got under my skin a bit. And parts that I shook my head at. This book moved me so, and moved so many people I know who have read it - that we're going to be discussing it in my FB group because we've decided we simply HAVE to. 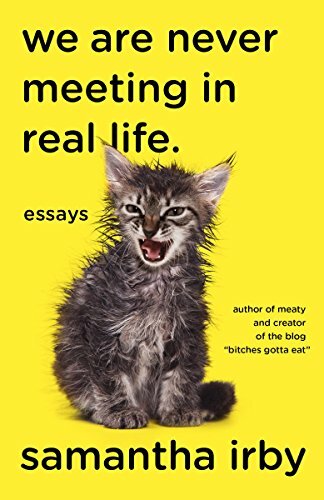 Lastly, I'm making my way through We Are Never Meeting In Real Life, by Samantha Irby. It's really good. It's really really good. It's hilarious. It's raunchy. It's intense. It's real. 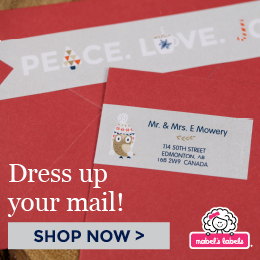 Irby is someone I want to sit down over coffee with (or tea, or whatever the heck else we might want to raise a glass of!) and talk to. Or, really, listen to. I've already gifted a copy to a friend because I had hit a point in the book that I was laughing so hard I might have snorted coffee up my nose - or out it and all over the pages of the book itself. So. As you can tell I've been reading a lot. I talk about what I'm reading on Instagram, so please come and follow me there. And thank you. 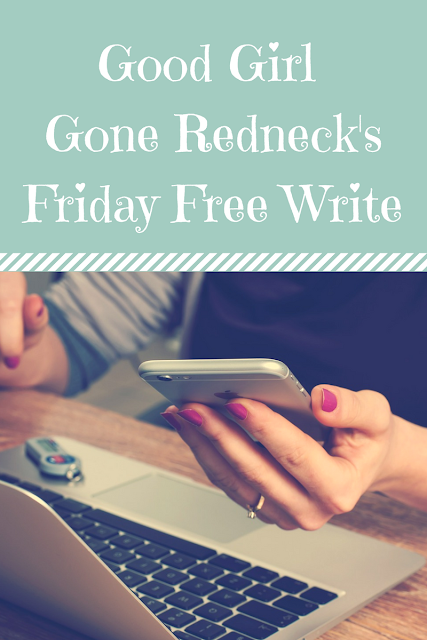 For sticking with me for today's free write. 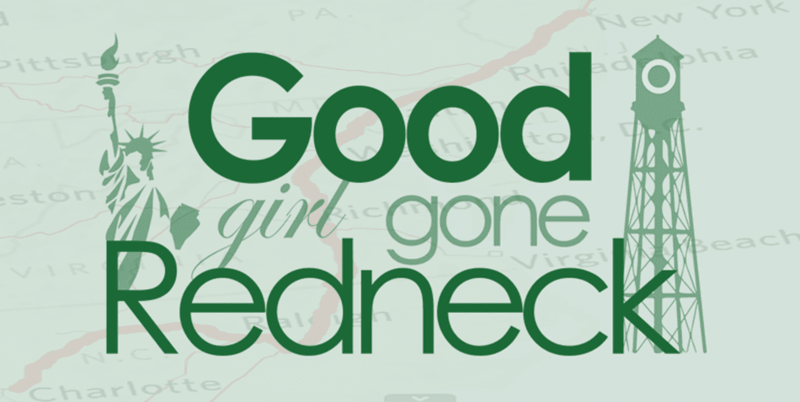 List-ish post of Friday Reads that might give you a clue on how my mind works, and might give you an idea of something to read yourself! Chat atcha next week. A couple of books for me to request for reading. Thanks!! I have read a couple of these but am happy to add a few more to my list and Kindle for my big upcoming trip. Thanks as always for the great suggestions. You never steer me wrong.